Under the guidance of the Hon. A. W. H. Dalrymple and Mr. A. R. Ward, the Chilton Aircraft Company of ДальшеMore>>> Chilton, Hungerford, Berks, are constructing a single-seater, low-wing monoplane with a 32 h.p. Carden engine. A cruising speed of 100 m.p.h. is hoped for and the machine should land with full load at about 32 m.p.h., the latter figure being attained largely by the use of flaps, which will also increase the gliding angle. The petrol consumption should be better than 50 m.p.g. Every effort is being made to secure a reasonable power loading to ensure a good take-off. Plywood covering is specified for wings and fuselage; a full-scale test has been made on the latter component which withstood a factor of 10. Data are: Span 24 ft., length 18 ft., track 6 ft., width folded 8 ft., range 400 miles. The machine should be ready for flight-testing soon after Christmas. The use of the 45-50 h.p. Weir engine would benefit take-off considerably. Incidentally, the company feels that this power plant may provide a brighter outlook for an economical two-seater with a really practical performance. NEARLY a year ago the two people behind Chilton Aircraft, Messrs. Dalrymple and Ward, started serious work on the design and construction of an ultra-light single-seater which was intended to he really outstanding both in practical performance and economy. The machine was flying early in the summer, and, once minor cooling and airscrew difficulties had been overcome, showed that both its cruising speed and general handling qualities exceeded expectations. 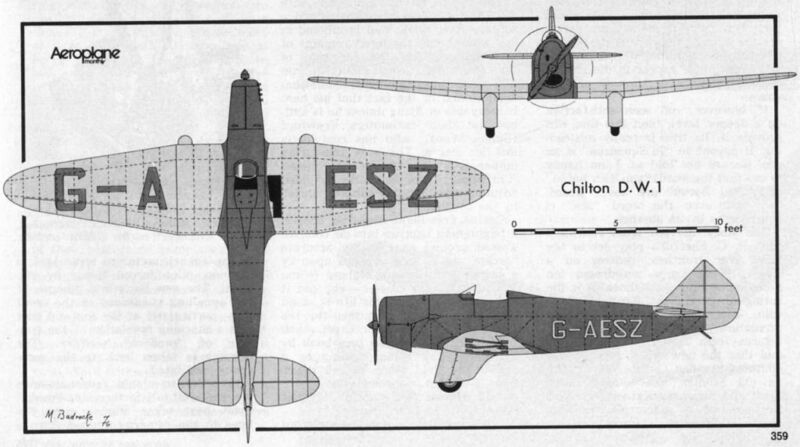 The construction of the Chilton, which is a low-wing monoplane, is quite orthodox, and the designers have concentrated largely on the business of making the machine as practical as possible. It is clean enough to travel at what, on 32 h.p., is quite a remarkably high speed - 112 m.p.h. - and practicability in this case obviously demanded the use of split flaps both to steepen the approach and reduce the landing speed. The engine at present fitted is a converted Ford Ten, for which Chilton Aircraft are now responsible, but the machine may be fitted with any other engine weighing less than 200 lb. – the French 44 h.p. Train four-cylinder being suggested as a useful alternative for the pilot who requires an even more exciting performance. Some Comments on the Chilton Monoplane: Cruising at 100 m,p.h. on 30 b.h.p. AFTER little more than half an hour's flying in a new type it may seem to be somewhat presumptions to make any comments on its handling and general qualities. On the other hand, initial impressions are those which really matter, since, after several hours' experience, one becomes so accustomed to a particular machine that it is difficult to remember and to analyse flying impressions as such. However, it was necessary to be content with a little plain circuit flying - which, at least, in visibility of the two-thousand-yards order, leaves one's mind free to consider a flying machine simply as a machine and not as a navigational implement. Probably the first reaction of any person on being told of a machine which actually cruises at something rather better than 100 m.p.h. on less than 30 h.p. is that such a performance must somehow be paid for, either in a high landing speed, or in some vicious characteristic. In fact, the Chilton is perfectly normal in its habits and it lands, with the assistance of split flaps, at a good deal less than 40 m.p.h. 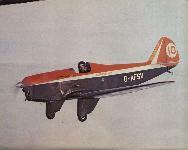 Its flying characteristics might be likened to those of any high-efficiency low-wing monoplane, built to a small scale. Furthermore, the machine has a rate of climb which is sufficiently good to remove any of those tree-scraping illusions from which one suffers in many of the ultra-lights; the maker's figure of 650 ft./min. is certainly not an optimistic invention. Provided that one has a properly instinctive realisation of the moment when a machine is ready to fly, the take-off, too, is quite short in distance, though moderately protracted in time. In fact, and according, as might be expected, to the purposes for which an owner requires such a machine, he can always, by a change of airscrew, obtain a superior take-off and climb at the expense of cruising speed. The machine which I flew was fitted with a compromise in airscrews, and, although it is never possible to guarantee indicated speeds, the machine reached its 100 m.p.h. quite quickly after levelling off, and comfortably held 95 m.p.h. on very little more than 3,000 r.p.m. - 300 r.p.m. less than normal cruising. The best climbing speed appeared to be 60 m.p.h. The Ford engine is a comfortingly smooth means of propulsion, and at no time did the water temperature gauge reading exceed 85 deg. C.
In the matter of controls the Chilton is light and positive, and the machine, so to speak, demands that every turn should be a steep one. A couple of near-vertical rounds was my closest approach to aerobatics, if some flat side-slipping is discounted. This last manoeuvre the machine does well and properly, though the speed cannot be kept below about 65 m.p.h. 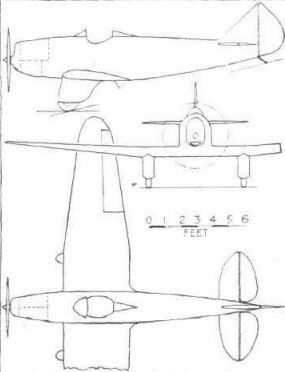 With three-position split flaps, however, the need for such height-losing tactics is not very obvious and the best way of approaching without a motor would be to play tunes on the flap lever between the first two notches, and to apply it fully just as the boundary has been crossed at 60 m.p.h. or so. With the flaps right down the gliding angle is steep enough to suit anyone - and with the flaps up it should be possible to cover a couple of counties downwind from 2,000ft. Until the true air-brake, independent of lift flaps, appears, all split-flap controls should obviously have a series of positions for different circumstances. Whether or not I was being too cautious with an elevator control which I knew to be very sensitive at low speeds, or whether the view of the ground as the tail goes down is an awkward one until the pilot becomes accustomed to it, the fact must be admitted that my first landing was a thoroughly bad one. It was a wheeler for a start, a slight ridge or a gust sent me flying again, and the results were made even worse by the accidental use of the engine at the wrong moment. The useful width of the undercarriage and its four inches of travel possibly saved the day (i.e., one of the wing tips) and this minor experience proved that the Chilton would take at least something of the hammering which might be provided by a thoroughly raw novice. The next two landings were irreproachable, so I am ready to take all the blame. The accidental throttle motion was indirectly caused by a control system which works in the opposite direction to normal. This is a purely personal arrangement in a particular machine, and at no other moment did I object to the fact that the dashboard control must be pulled rather than pushed - the idea being to have the plunger out of the way when closed. The use of glider-type, or harmonium rudder pedals is another quite accidental feature which, consequently, may hardly be criticised, though paddling is thereby encouraged; full-leg rudder-bar movement certainly provides one with more definite control. Any other machine (a second one is coming along now) may have a standard throttle movement and a normal rudder-bar at the discretion of the purchaser. 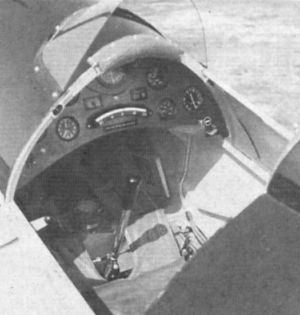 The next machine, too, will have the flap lever on the left side of the cockpit, where it may be moved without changing the stick hand. It is obviously impossible to deal adequately with the characteristics of an aeroplane in a few hundred words. Let the Chilton be temporarily explained as the useful result of a real endeavour to produce an economical, and properly finished machine with normal characteristics, yet an outstanding performance. 32 b.h.p. converted Ford engine with dual ignition. Wing area 77 sq. ft.
Rate of climb 650 ft./min. Makers Chilton Aircraft, Hungerford, Berks. 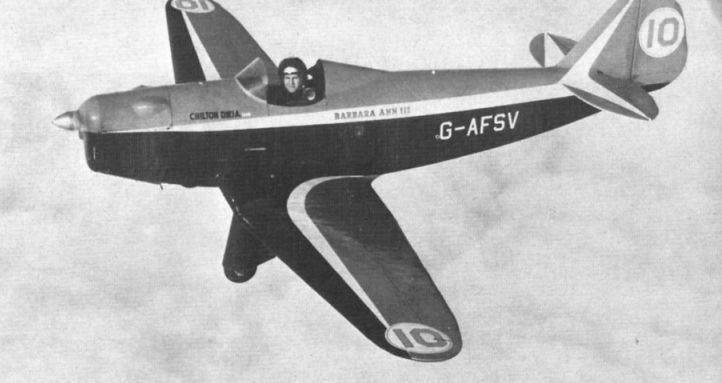 Chilton D.W.1A G-AFSV, flown by the late Sqn Ldr "Manx” Kelly, near Booker in 1969. This aircraft was re-engined with a 62 h.p. Walter Mikron 2 in 1956. 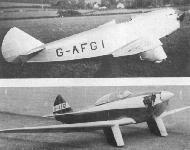 G-AESZ, the prototype Chilton D.W.1, photographed just after completion, probably at Chilton, Hungerford, in Berkshire, 1937. 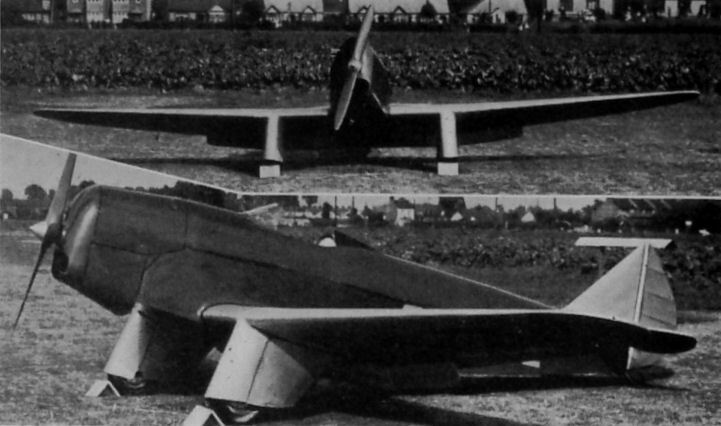 The Chilton Single-seat Light Monoplane (32 h.p. Carden engine). The prototype Chilton was wrecked during a forced landing at Felixstowe, Suffolk, on May 24, 1953, only two years after being reconstructed. Some idea of the machine's small size and clean lines may be gathered from this photograph. The Hon. A. W. H. Dalrymple, co-conspirator with Mr. A. R. Ward, is standing by the nose. 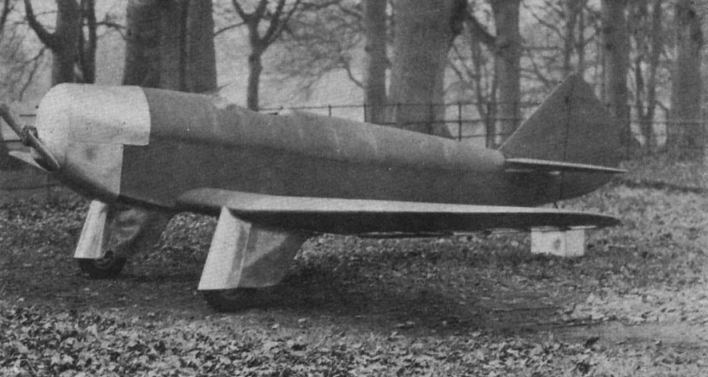 Another view of the prototype Chilton, location unknown. The prototype Chilton G-AESZ, in red and silver livery. 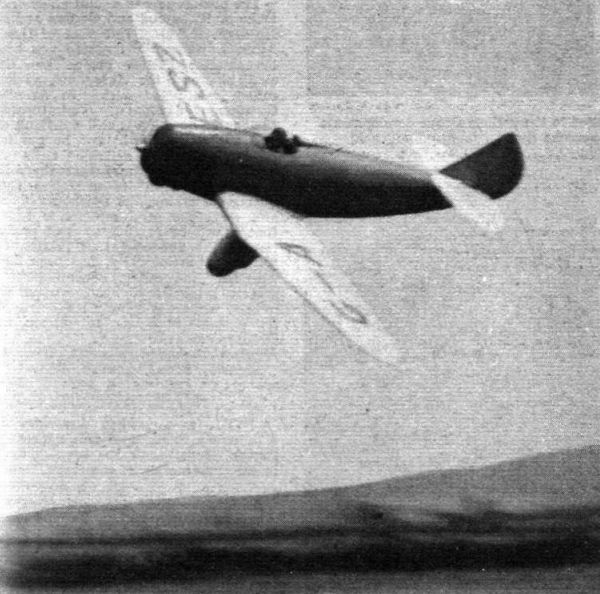 Possessed of a remarkably good performance for a machine with only 32 h.p., the single-seater Chilton monoplane has now been flying quite successfully for several months. Sqn Ldr H. R. Bilborough nudges Chilton G-AFGH closer to the camera over Denham in 1949. Dr Miles Bickerton owned both the Chilton and Denham aerodrome at the time. 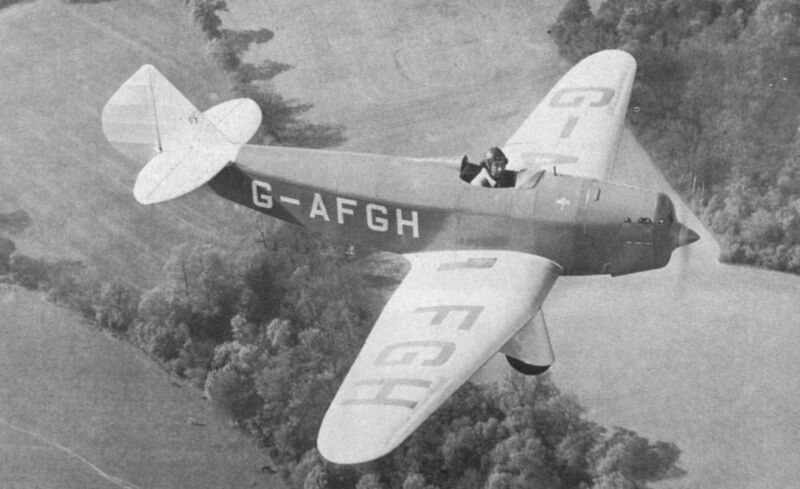 Chilton D.W.1 G-AFGH flying near Denham in 1949, with Sqn Ldr H. R. Bilborough at the controls. 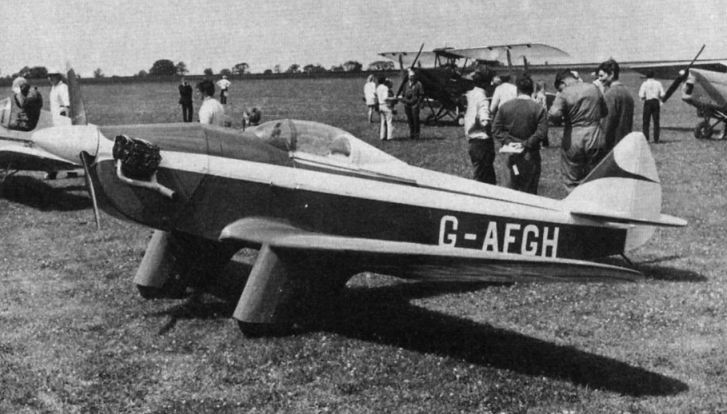 Chilton G-AFGH was re-engined with a 55 h.p. Lycoming O-145-A2 flat four, and parts of the D.W.2 were used to restore ’GH to flying condition in the early 1950s. Note the addition of the bubble canopy. The two photographs show Chilton G-AFGl in its original configuration, top, and re-engined with a 55 h.p. Lycoming and sporting a sliding canopy, bottom. 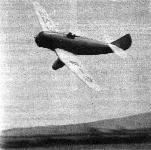 Chilton D.W.1A G-AFSV pulling Ranald Porteus at the time he flew the aircraft at Derby in 1948. Another view of the Mikron-engined D.W.1A G-AFSV Barbara Ann III. 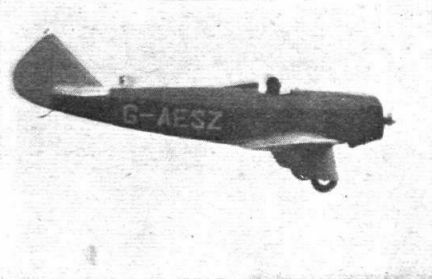 For its appearance at the First Round national air races, held at Yeadon during May, the little Chilton monoplane G-AFSV had been re-engined with a 60-h .p. Mikron engine, instead of a 44-h.p. Train. DEBAGGED BUT CANOPIED, the single-seat Chilton D.W.la G-AFSV (c n. DW la/la/l), owned by J. E.G, Appleyard of Leeds, is seen at Yeadon, Power is a Waiter Mikron II in-line. 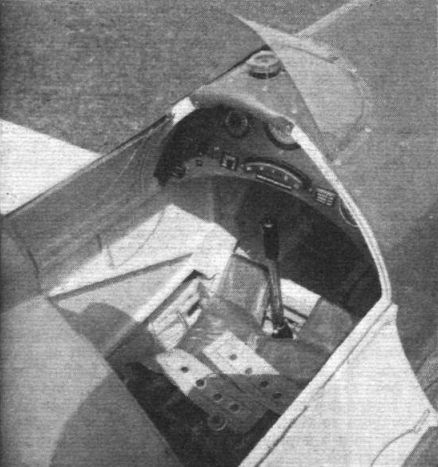 The simple panel and adequately sized cockpit of the Chilton. DIRECTIVE CENTRE: Tidiness is the outstanding feature of the cockpit of the Chilton monoplane, some flying impressions of which are given on the next page. There are "doors" on each side and room for luggage below the headrest. Such clean and pleasing lines as these of the Chilton monoplane are seldom found in the "ultra-light category." The Chilton monoplane, a high-efficiency ultra-lightweight with a Carden-Ford engine.